The process of vacating our homes to spend a night out in nature is called camping. Beyond that broad definition, camping is extremely subjective. When it comes to style, there’s the bare bones, man versus nature survival trip, there’s “glamping” or glamorous camping—and then there’s everything in between. The term camping covers a wide array of comfort levels and there’s plenty of gear to choose from regardless of your approach to camping. The survivalist can buy a simple compass and study knife. There are specialty beds and portable espresso machines for the glamper. And, of course, outdoors shops and websites have no shortage of other gear for the rest of us. 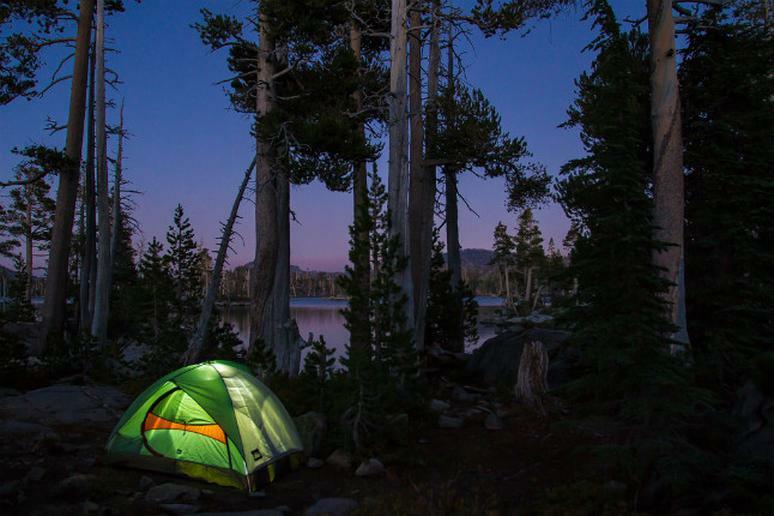 Nearly 43 million Americans went camping in 2011 for a total of 534.9 million days. Participation is up from 39.9 million campers and 514.8 million days in 2010. More recent and equally specific statistics are not yet available from the Outdoor Industry Association but it’s safe to say that camping is still a popular summer activity. While every camper has their own style and preferences, we put together a list of 12 items that you shouldn’t leave home without. 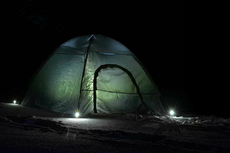 From sleeping bags to first aid kits, and lesser known products like the ARCA flashlight/ lantern/ USB charger and StakeLights, which brighten the area surrounding your tent, this gear is practical and portable.